OTTAWA, Jan. 21, 2016 – Infusing an extra $60 billion into provincial, territorial and municipal infrastructure is no easy task. That’s why Prime Minister Justin Trudeau says he wants to “do this right” when it comes to setting out the federal government’s long-term, strategic infrastructure plan. Thankfully, the Macdonald-Laurier Institute is here to help him do just that. MLI Senior Fellow Sean Speer and author Brian Flemming, in a new commentary paper, lay out a blueprint for smarter and better infrastructure spending. To read the full commentary paper, titled "Avoiding Short-Cuts On The Road To Infrastructure Spending", click here. Number one on the priority list? Resist calls to use infrastructure spending as short-term economic stimulus. 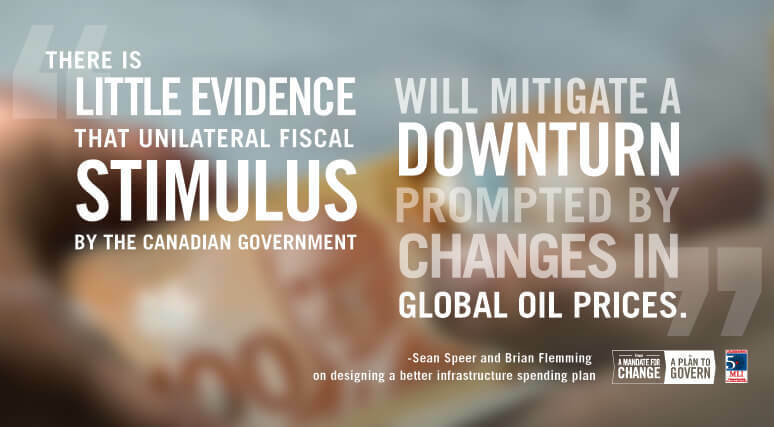 “There is little evidence that unilateral fiscal stimulus by the Canadian government will mitigate a downturn prompted by changes in global oil prices”, write Speer and Fleming. A national stimulus program would do nothing to boost falling oil prices, it wouldn’t target particularly hard hit parts of the economy in provinces such as Alberta, and “shovel-ready” projects are unlikely to emerge in short order. Yet the government is right that the right investments on infrastructure are vital to long-term Canada’s economic fortunes. Speer and Flemming offer several recommendations for making the most of the government’s planned investment. Decentralizing infrastructure financing and spending responsibilities to the local level as much as possible provides several advantages. It ensures projects reflect local needs – Vancouver’s requirements will be different than Thunder Bay’s – and helps to deliver a more direct line of accountability between taxpayers and governments. Tolls and market-based transit fees, for example, would help finance the cost of infrastructure and hold local governments to account for how they choose to spend money. A big challenge with infrastructure spending is ensuring politics don’t get in the way of making sound decisions. This is where governments can use market forces to their advantage and work with the private sector, say Speer and Flemming. Public-private partnerships are a key tool. Finding a business that’s willing to partner on a particular project helps bolster the business case for it. That’s why, Speer and Flemming say, the government should reconsider its plan to remove the P3 “screen” – which requires that major infrastructure projects are assessed for P3 suitability – from infrastructure decision-making. Instead it should examine ways to increase the use of P3s in its current infrastructure plan. One option is to experiment with the use of an independent infrastructure bank that uses economic cost-benefit analysis to select projects and pulls in private sector partners to help finance and manage key infrastructure projects. Such an infrastructure bank could be capitalized by the divestiture of federal assets such as airports and ports so that it had no effect on the federal deficit. Public spending on infrastructure will only take you so far. Creating the right conditions for business to invest is what will, in the long-term, allow Canada’s economy to prosper. Take the Energy East pipeline, for example. That project is supposed to bring capital spending of $15 billion – a significant boon to Canada’s long-term economic prospects particularly since it will have broader utility with respect to energy transmission. This paper is the latest entry in MLI’s series, From A Mandate For Change To A Plan To Govern. 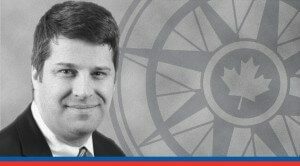 Brian Flemming C.M., Q.C., is an international lawyer, a public policy advisor and one of Canada's leading experts on transportation policy and the international law of the sea. He has authored many articles and given many speeches around the world on transportation policy, international law and security issues.He is a former Assistant Principal Secretary and Policy Advisor to Prime Minister Pierre Trudeau. Sean Speer is a Senior Fellow at the Macdonald-Laurier Institute. He previously served in different roles for the federal government including as senior economic advisor to the Prime Minister and director of policy to the Minister of Finance.